We offer a range of services and support offering benefits to funders and funded alike. 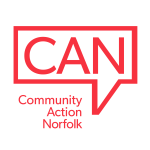 Help you understand community and charity needs through consultation and data gathering from communities and organisations across Norfolk and through our National umbrella organisations. This can help tailor funding opportunities and maximise the outcomes you are looking to achieve. Supporting funding panels ensuring good local knowledge and real understanding of local issues. Managing the distribution of grants. Directly supporting charities to develop their assets and effectiveness through our Fuel Relief Support Project and other programmes. Providing advice and support to applicants including advice on writing good applications ensuring a better fit with funders aims. Delivery of training at all levels.